In 1999, 11 of the then 15 EU countries formed an Economic and Monetary Union(EMU) and the Euro came into being which replaced member's old national currencies. 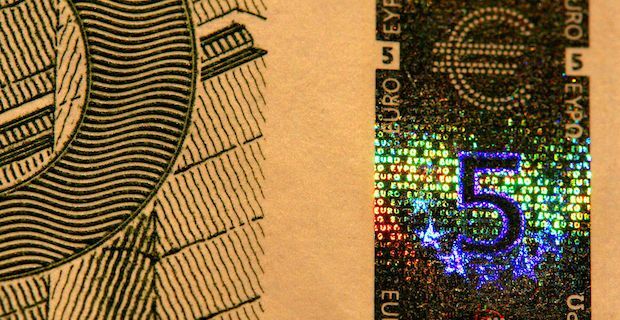 In January of 2002, the Euro started circulating as physical banknotes and coins rather than just virtually. Since then, it has been slowly expanding and is being used in more and more countries as the years pass. The original EU countries that started using the Euro were Germany, France, Italy, Belgium, Netherlands, Luxembourg, Republic of Ireland, Spain, Portugal, Austria and Finland. Greece did not initially meet the strict criteria due to their large budget deficit but were able to join in 2001. The UK and Denmark opted not to use the currency. Unlike Sterling though, the Danish Krone has a fixed exchange rate policy with the Euro. Currently 19 of the 28 EU member countries are using the Euro. In addition to those listed above, Slovenia (2007) was the first country to join after the currency was available, followed by Cyprus (2008), Malta (2008), Slovakia (2009), Estonia (2011), Latvia (2014) and most recently, Lithuania (2015). Collectively, all of these countries are known as the Eurozone. New countries that join the EU are under obligation to use the Euro. For various reasons, there are still a few countries in the European Union that choose not to use the Euro and yet remain part of the common market system. These countries are Bulgaria, Croatia, Czech Republic, Denmark, Hungary, Poland, Romania, Sweden and the UK. In addition to the EU Member states, Andorra, Monaco, San Marino, and the Vatican City, Saint Barthelemy, Saint Pierre and Miquelon, the French Southern and Antarctic Lands and Akrotiri and Dhekelia are all Overseas Territories of EU members that aren’t a part of the EU themselves but still use the Euro. The non-EU member states, Kosovo and Montenegro also chose to adopt the Euro unilaterally. A report in 2013 estimated that there are around 332 million people that are using the Euro within these countries alone. Outside of the EU, around 3 million people directly use the Euro. Since it is a common trading currency, it has become more prevalent in Cuba, North Korea and Syria alongside the US Dollar.